Why Does My Dog Have a Runny Nose and What Should I Do? If your dog has a runny nose, it may be nothing to worry about. The most common cause of a clear nasal discharge is just nervousness. Allergies also be the cause of some runny noses. Neither of these problems will require a trip to the vet's. What are some of the other causes you need to be concerned about? Why Does Your Dog Have a Runny Nose? Sometimes there is nothing to get excited about. If your dog has a clear nasal discharge when he is nervous but it clears up as soon as he calms down, your dog is healthy. It is nothing to worry about. When the runny nose goes on for several hours, however, even if it is clear, you should be concerned since it may be from a viral infection (like canine distemper or parainfluenza). Most dogs with allergies will develop skin problems, unlike people who have symptoms like a runny nose and watery eyes. If your dog has a clear runny nose and is itching, taking care of the itching will probably resolve the runny nose. If you are interested in taking care of this yourself and are willing to spend the time, there are some alternative, natural remedies for allergies available. When the dog has a thick substance coming out of the nose, especially when it is a green or yellow discharge and goes on for several hours, your dog may have an infection and you need to do something about it. You can take a warm cloth to remove the discharge from your dog's nostrils and make him more comfortable, but he is only going to be okay when you find out what is wrong and he is treated. If you do not want to put your dog on antibiotic therapy, you can try an immunostimulant like cat's claw, Echinacea, or Reishi mushrooms, but I recommend you do so after having your dog's runny nose diagnosed at your vet. 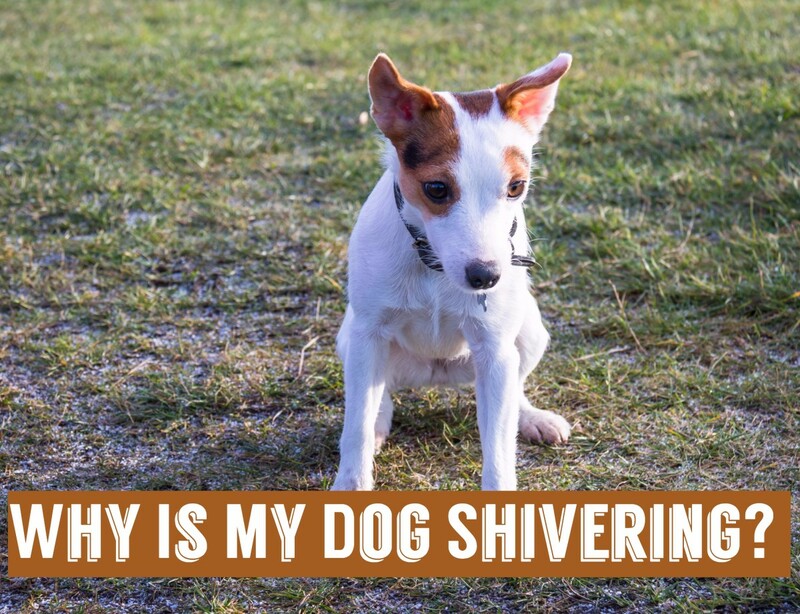 Some dogs with a yellowish discharge from their runny nose will also start coughing, have problems breathing, and even be reluctant to move around. These problems might let you know that your dog has canine influenza and really needs to be treated. If there is food, water, or discharge coming out of only one nostril, open your dog´s mouth and take a look. You might find the abscess, tumor, or signs of the trauma that is causing the runny nose. Usually there is not much to do about it, but years ago I found a rotting stick that had caused an abscess. (This was in my clinic but the puppy´s family could have done this.) When the stick was removed from the puppy's mouth he was able to get better by himself. You do need to do something right away if your dog has any blood coming from the nose. A little blood can be the first sign of a tumor in the nose. It can also tell you that your dog has a grass awn in the nose, an infection that has been going on for a while, and even problems with his teeth. A bloody nose can be something serious, or it may happen from nothing more than an accident. If your dog is lethargic, panting excessively, or coughing or having any trouble breathing that indicates the problem has already become systemic. You need to have your dog examined by your local vet as soon as possible. 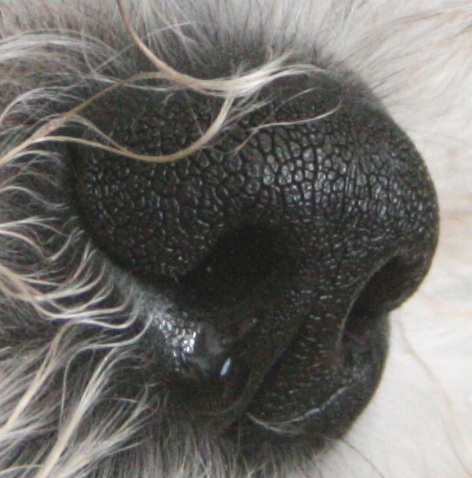 Are Some Dogs Predisposed to Having a Runny Nose? Brachycephalic breeds (flat-nosed dogs like English bulldogs, Frenchies, boxers, pugs, and others) are more likely to develop infections and have a thick nasal discharge. If you have a hunting dog and he is out running in the fields, there is a lot more likelihood of him getting a grass awn in his nose and developing a runny nose. Hunting dogs may also suffer from trauma and end up with a fistula (a hole) between the mouth and the nose. 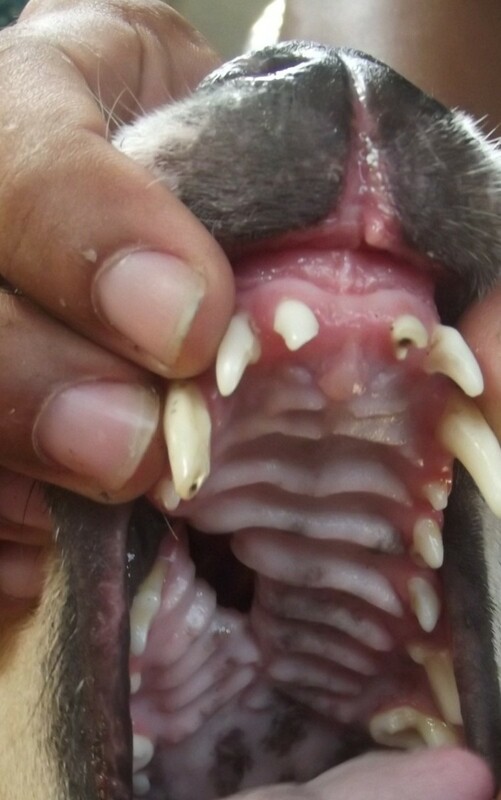 Small dogs without dental care are more likely to develop abscessed teeth. Dolicocephalic dog breeds (dogs with really long noses, like the borzoi) are more likely to develop nasal tumors. Not all runny noses require a trip to the vet's clinic. If your dog has a thick nasal discharge or blood coming from the nose, however, you need to find out what is going on, and help your dog as soon as possible. Your vet will first do a good physical exam to look for any lumps or dental problems, but will then want to do a blood test (CBC) and find out if your dog has an infection. He will also want to x-ray the nose and lungs to see if your dog has pneumonia or tumors in his lungs. A lot of times this is all that will be needed to figure things out. More testing will be necessary if your dog is bleeding from both nostrils. A clotting time will tell the vet if your dog has been poisoned or has a bleeding disease, and a blood test can be done for tick-borne diseases like Rocky Mountain Spotted Fever. 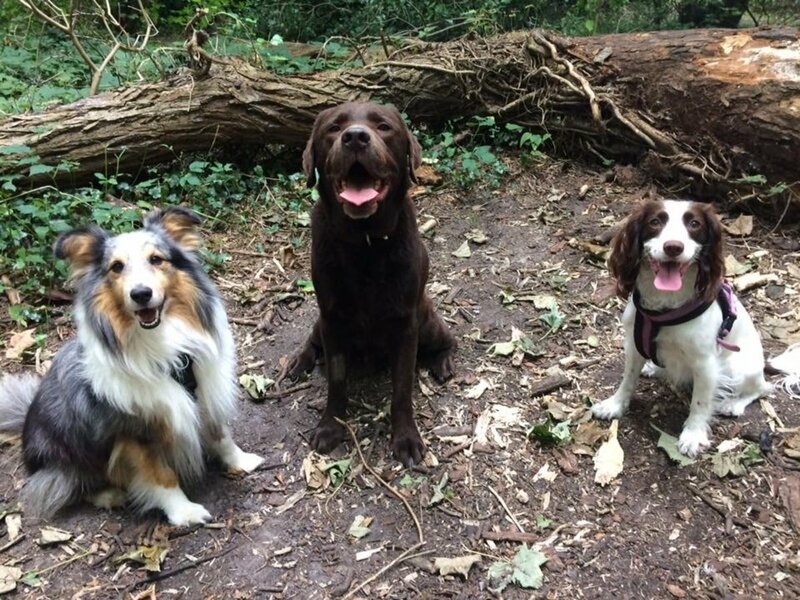 How you can save money on your dogs health costs by following a few simple steps. Why you should examine your dog regularly, keep you dog healthy and how to avoid excessive health costs. You should be aware of what is normal in your dog. 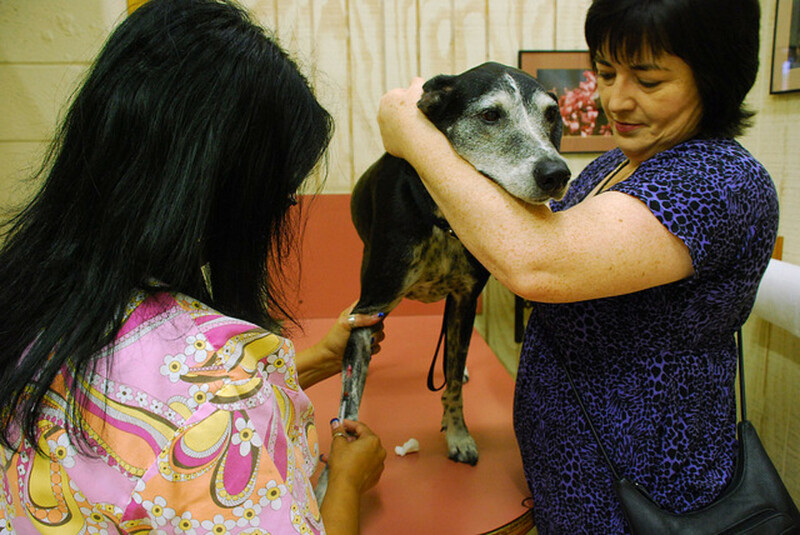 This is a physical exam you can do at home before taking your dog in to see your veterinarian. It really depends on what is causing your dog´s runny nose. If your dog has a grass awn, it can usually be removed without problems. An infection can usually be treated with antibiotics, and even a runny nose secondary to an abscessed tooth can be taken care of by pulling the bad tooth and treating the infection with antibiotics. When the runny nose is secondary to cancer, and not all of them are as easy to clear up. Some tumors can be removed, some can be treated with chemotherapy or alternative methods, but if the tumor is already spread through the lungs it will be hard to deal with. If your dog has a runny nose, get him checked out right away. Treating a problem early, before it becomes serious, may mean the difference between life and death. Apple cider vinegar is an alternative treatment that is helpful in many cases of runny nose. As I have emphasized above however, if you are not sure what is going on you need to have your dog diagnosed by a veterinarian before you start treatments. My 14-year-old Maltese has oronasal fistula; he has food caught in the holes in his mouth, has had an infection, and now he rubs his face after eating (we think he is trying to get the food out of the hole). What can I do for him? An aged Maltese probably has an oronasal fistula because of an extracted tooth. Has your regular vet not discussed closing it? 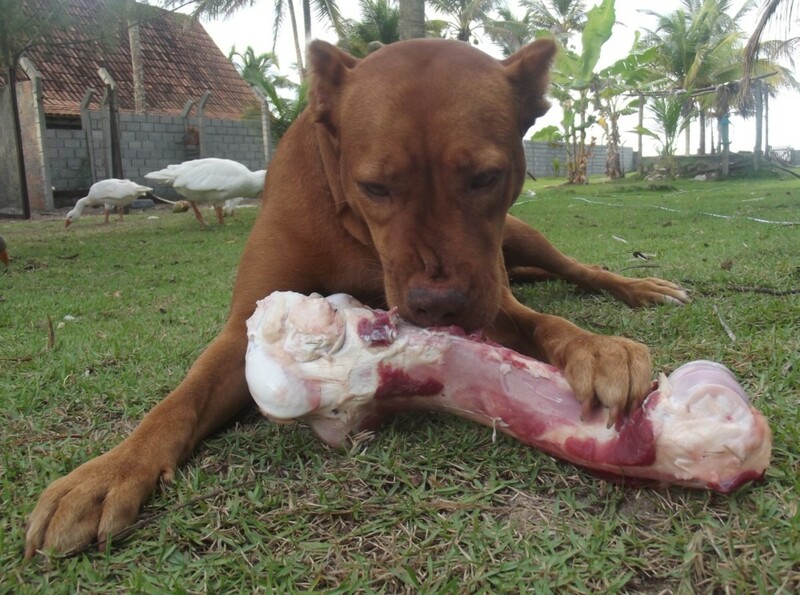 If you leave the fistula open, the food is always going to get in there, and the dog will always have problems. If the dog is not a candidate for surgery, or you cannot afford it, the only thing to do is clean the fistula after each meal. There will probably still be problems. My dog is one-years-old and has been having a runny nose, sneezing fits and acting overly attached for the past few days. Should I be worried? The comment about being "overly attached" might mean that she is very sick. Most dogs do not show any behavioral symptoms until they are very sick. The best thing you can do for her is take her for an exam so that your regular vet can check her temperature and listen to her lungs and monitor for any problems. My 16-month-old dog occasionally has a runny nose. However, the last few days it has been continuously running, and she has been sneezing a lot. She also has no interest in laying on the couch or bed which is not normal because she is always on the couch and bed. What could this be? What should I do? If the discharge from your dog's nose is thicker than usual, she is likely suffering from an infection. This needs to be treated with antibiotics so you will need to take her to your vet for an exam. Please have your dog checked out as soon as possible. My dog is almost fifteen and has a green discharge from her nose. What would cause this? A green discharge from the nose is most likely an infection, so with a 15 yr old dog I would assume it was an infection in the teeth. I would want to check her for cancer though, and there is always the possibility that it is just an infection in the nasal cavity. My Lhasa puppy is five-months-old. He has been inactive, dizzy and refuses to eat; his pee is also light red. What could be the cause? There are many possibilities. His vet will ask you about his vaccine status, whether he has been dewormed, any possible exposure to toxins, and may need to do lab work to check his kidneys, liver, and a UA to check his urine. With such a small puppy it is imperative that you have him checked by your vet as soon as possible. My French bulldog puppy had white discharge expelling from her nose. Should I be worried? French bulldogs are prone to more respiratory problems because of their anatomy. I cannot tell you what the white discharge was, and it is possible that it was only a mild irritant or infection. If your dog is showing any respiratory symptoms (nasal discharge, sneezing, coughing, snoring more than normal, etc. ), then you should have her seen by your regular vet. My 7 year old rescue Borzoi, which I’ve had for a month has a continual runny (clear) nose and sometimes eyes, but he is not itchy. Looking at previous vet records he’s had this for a long time, could it be allergies? I have seen dogs from this breed that have clear runny noses but are in great health. The dogs are dolicocephalic and their anatomy makes them a little more prone to irritants. If your dog is not having any other problems, and is not itching excessively, I would not recommend putting him on allergy medications. My twelve-year-old Cavalier started coughing and has a cloudy white to yellow nasal discharge for nine months now. My vet has done blood tests and tried three different antibiotics. Do you have any ideas that can help? If your local vet has not been able to diagnose your Cavs condition after exams, then I recommend you take him to the veterinary teaching college in your state. They have a lot better chance of figuring out what is going wrong, and will have access to better diagnostics than a regular practitioner. Your vet can give you a referral, or if this is not possible, he can refer you to an internal medicine specialist in the closest city. Definitely. I do not give my dogs that intranasal Bordetella vaccine because it sometimes causes the very thing it says that it will prevent. My 9-year-old Bulldog has lost weight, and her back gums are growing over her teeth. She also has a badly deformed spine. Now her nose is running and frothy. Is she just aging? Periodontal disease will cause a dog to have gingival hyperplasia (gums growing over the teeth), and if they are infected, they may be causing a sinus infection too. Get her examined by your regular vet as soon as possible since she may need to have a tooth extracted and may need to be on antibiotics first. I do not know why her spine is deformed but you should point that out, and it may help to have that looked at during the exam. 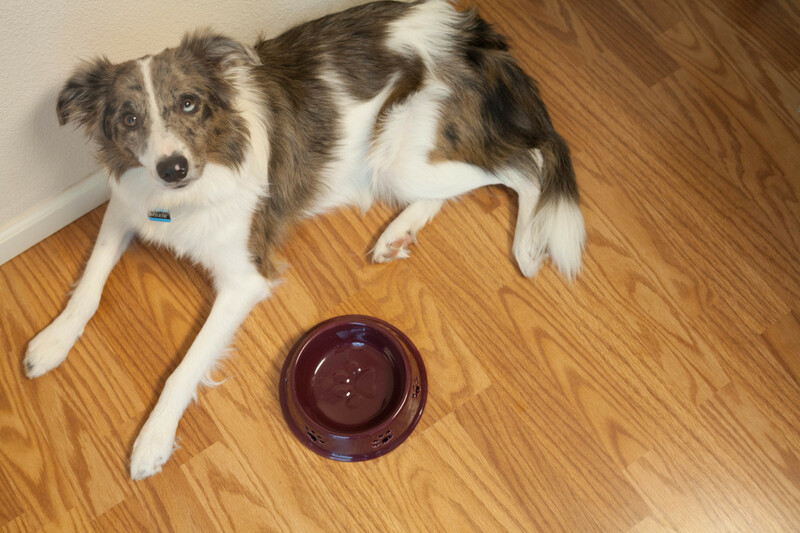 Shaylann, nothing suggests your dog has a food allergy, but if you do want to try him on a new diet with a novel protein source you should expect at least 4-8 weeks for clinical signs to resolve. Not sure the eye drops were not just a coincidence but it is possible the puppy had an allergic reaction to something in the drops. If this is the case, and you have stopped using them, the problem is going to clear up. Do you know what was in the drops? If it is a "homemade" product mixed up by the vet, call and ask about any allergic responses he has seen in the past. You should consider something more serious if the eye drops are made up of a strong antibiotic like gentamycin. 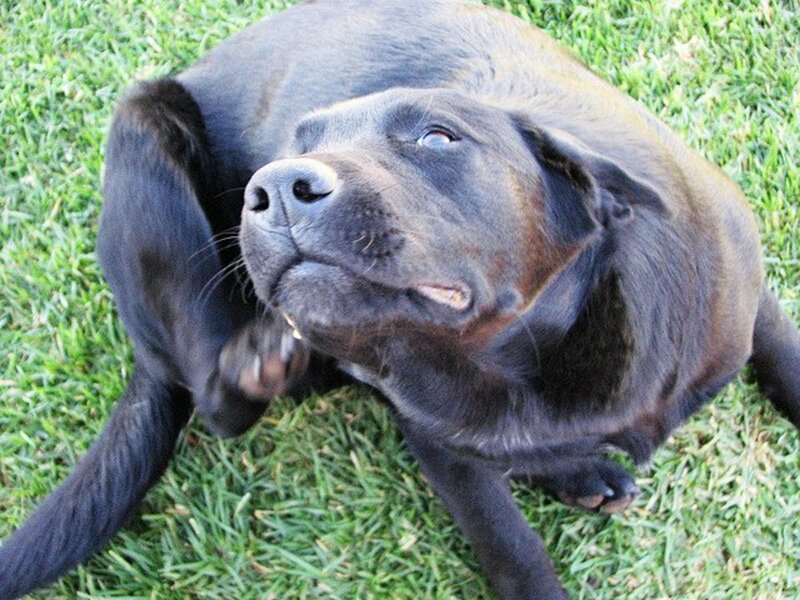 If the dog is itching or has skin problems you should investigate the possibility of allergies. If the only symptom is a clear nasal discharge, and it is not excessive, do not be concerned. Hi! I have a two year old mixed breed. A month ago, I noticed that she has excessive clear watery nasal discharge. It is persistent and present even today. I already asked a vet about it and he said that it may just be a common cold. But I am still concerned. Could this be something else? It sounds infectious, April, and since she is 11 and such a tiny dog I would suspect her teeth. She needs to have her mouth examined by her regular vet and probably put on antibiotics and have her teeth cleaned. If you do not take care of this soon, the infection will get worse and she will stop eating. My 11 yr old Yorkie has been breathing really loud and making lots of noise while breathing. She does has a cough from time to time. But now just today her nose is running with green yellow thick mucus just on one side. She’s still eating and drinking well. Elexsis, I do not have any suggestions if they have already diagnosed a respiratory infection. Did the second vet you consulted agree with the first diagnosis? The one thing I can suggest, depending on where you are, is taking your older dog with chronic problems to your state veterinary college. There is no financial incentive, and although the answer may not be easy, you may be sure that they will eventually arrive at the answer to your problem. Call your vet and ask for a referral. If he does not want to refer your dogs, look for someone else right away. We have 5 dogs, and our 6 year old dog in June staring having sneezing, hacking, and nasal discharge. He was diagnosed with a respiratorry infection and put on antibiotics. Eventually it has gone thru 4 out of 5 of our dogs, all which ended up on antibiotics. All now are symptom free except for the first dog that caught it, and our oldest 10 yr old dog. Lots of mucus, backward sneezing, and this has been going on for two months now. Been to our regular vet, and another for a second opinion. All of our dogs have been current on vaccinations. No other problems exist, but they just can't seem to kick this. Any suggestions? Cedric, there is no generic answer for this question. 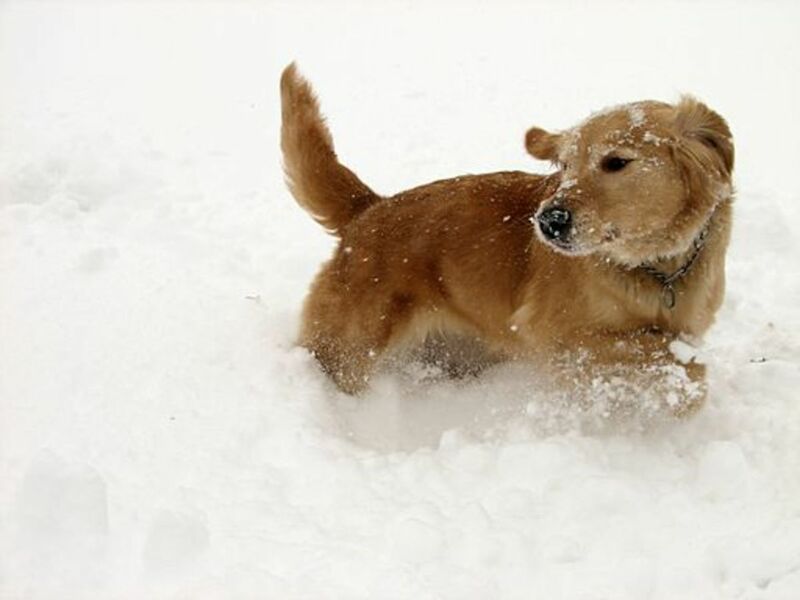 It depends on what type of runny nose your dog has, and what is causing it. 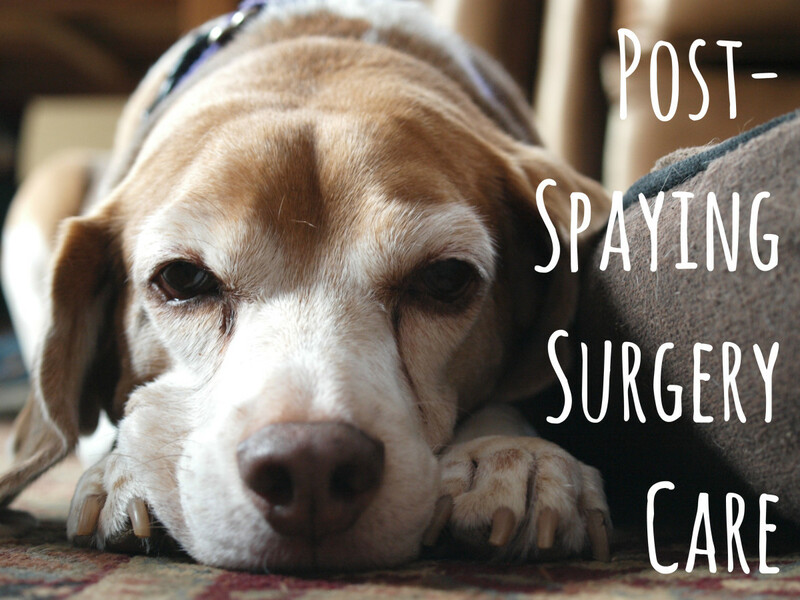 After you stop the bleeding, you need to make an appointment with your regular vet and have her seen as soon as possible to figure out what caused it. Sandy, since he is a senior be sure to notice what it is like. If the mucus is clear there may be no need for concern. If it is thick, dark, or bloody please have him examined by your regular vet as soon as possible. Hi Sonee I just answered some of the questions about your bulldog in the Q&A section. I hope you get her checked out as soon as possible and she does better. I have an aging bulldog with lots of issues. The latest is a runny and frothy nose. Should I be concerned? We just came back from Hiking , My companion has had all the immunizations but now he has been tired like us and has a runny nose thoughts on benadryl? My dog is very active, 2 years old. We go to the dog beach almost daily to swim. He never runs out of energy. I recently noticed the reverse sneezing. I had heard him do this a long time ago, but chalked it up to him maybe itching his throat (heck, i do it sometimes). Now he coughs like a person and gags at the end and nothing comes out. To me it sounded just like kennel cough. I notice his nose running and it sounds "stuffed". It has only been about 4 days since I first noticed the cough and it has decreased but the nose running and reverse sneezing continue. He eats and eats and plays and plays but I know he cannot feel good. After reading about the awns I am not freaking out lol. My dog rolls through grass and barrels through nose first. There are no obvious signs on his visible body but how would I know if one is inside him, somewhere? And do all internal awns require surgery or can some work their way out? Jeff, the antibiotics are just covering up the problem. If the runny nose is from one nostril, it may go away for awhile but it is just going to come back. I hate to disagree with your regular vet, since he has seen Charter and is familiar with his case, but I do not think the $1000 is really going to help. Find a vet that has an endoscope (are you anywhere close to a vet school?) and let them take a better look into the affected nostril. If they find the problem, and take care of it, the antibiotics might help the problem go away for good. If you do not find the problem, the antibiotics are just going to help for a little while. My yellow lab Charter has had a persistent runny nose for the last 2 months. We brought him to the vet in December and they put him on a 14 day course of clindamycin (150mg) with Benadryl as needed. While his bouts with "reverse sneezing" seemed to have subsided, unfortunately there wasn't much improvement in his runny nose. His nasal discharge is only coming from his right nostril. More often than not it is just clear, but occasionally it is an off white. Only once did it seem reddish in color. When I massage the soft tissue of his nose, it usually ends in a good sneeze. Our vet recommended putting him under so they can take X-rays, perform cultures and flush his sinuses. That would cost $1000. They have been very helpful and understanding of my concerns around the cost. They said that clindamycin was the low-cost option and have kindly offered to put him on something stronger to see if that clears him up. So...with all that being said, do you think it makes sense for me to try one more course of antibiotics before shelling out $1000, particularly knowing I'll likely have to get those antibiotics anyway? Also, my vet does not have a scope so if they visualization to locate a foxtail, that would need to be done elsewhere, which would end up costing me double. I appreciate your advice Dr Mark! Soshna, your vet probably gave your dog antibiotics because his discharge appeared to be an infection. If they did not work, you really need to get him back there as soon as possible to try something else. It may not be an infection and some diagnostics should be done to find out what is wrong. Moises, is your chi scratching a lot? Most allergies become skin problems. Is the discharge clear or yellow and thick? From your description t is hard for me to tell if she is infected or just has a runny nose. If you want to try the organic apple cider vinegar, add a small teaspoonful to each bowl of water. If you add to much she will not like the taste and not drink, so monitor her closely and make sure she is drinking. DO NOT let her get dehydrated, ok? Thanks, Elizabeth. Last night I read your hub on resource guarding. I am usually able to teach this to puppies, but your story of training "leave it" to an older, rescue dog was very interesting. I am glad you write for this site. Very informative hub and great for anyone to refer to should their dog show signs of sickness or a runny nose! No, I didn't get a photo, or get to talk to him at length. There were other people at my booth and I had to try to get samples in their hands, too. 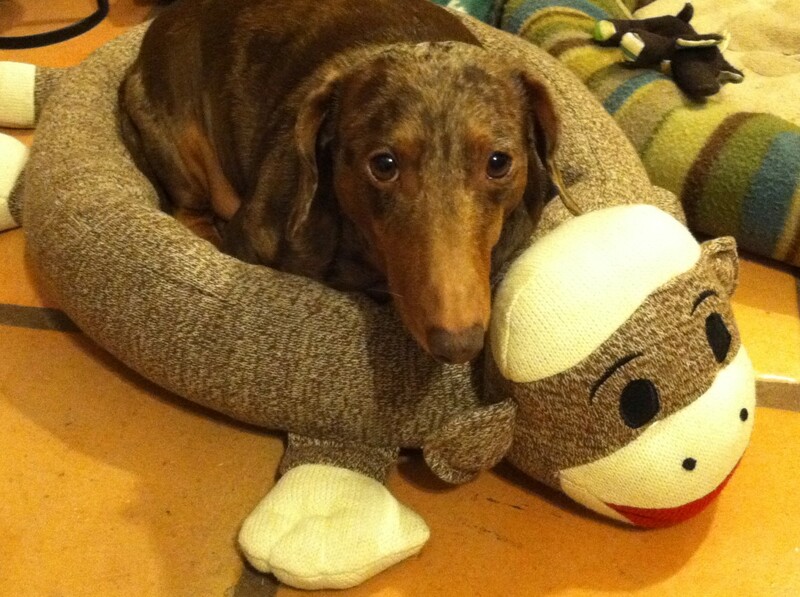 I've had many instances where pet owners swear by situations that defy science. I don't argue with them, either. I kind of doubt 21 too, but I learned years ago to just say "wow" and let them put down the age they want. (I wonder how many years the guy has had the dog.) He must be doing something right! Did you get a photo of him? A dog with a cocaine habit might have a runny nose, too :) I never heard the term awn...had to Google it. We just lump it all into the term plant debris. I don't think you've written a hub yet that I haven't learned something new from. They're always interesting reads. Voted up, useful and interesting. BTW, had my first outdoor event of the season today and met a retired/rescued greyhound that the owner claimed was 21 years old. Was pretty grey and lame, but I don't know if I believe 21. Great hub Dr. Mark! Sharing with my Facebook friends!